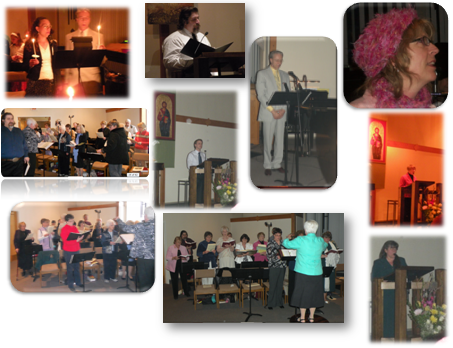 We welcome participation in Blessed Trinity+Spirit of Christ music ministry. Choir rehearses each Wednesday evening at 7:00 p.m. in the church. Men and women of all ages (6th grade and up) are invited to be members of the choir. 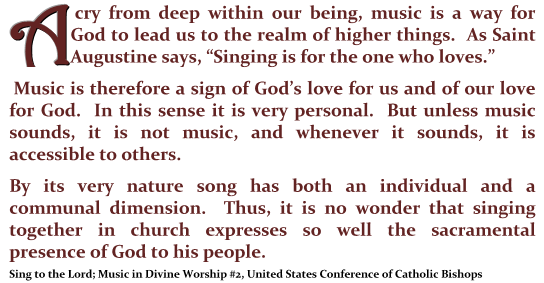 The choir sings at the liturgy weekly, and leads the music at the special liturgies of Christmas, the Easter Triduum and as needed throughout the year.